The folks at Trigger Memory Systems sent crew members several fun products! Parents and professionals use a LOT of visuals when working with individuals on the autism spectrum. Because language processing issues are often seen with autism, displaying information visually can be more successful than speaking that same information to individuals diagnosed with autism spectrum disorders. Entire systems and software are available for families and professionals (PECs, Boardmaker come to mind), some too expensive or bigger than what we need. And when I stumbled across the Trigger Memory products back in the spring, after subscribing The Homeschool Minute e-newsletter, I posted information about them in quite a few places where parents of children with autism hang out on the internet. I think it's interesting that Trigger Memory Systems' developed these for homeschoolers--I think parents and professionals who work with individuals w/ autism will like them, too! WOW--I just love these flip charts! A set of all three is priced at $29.95. 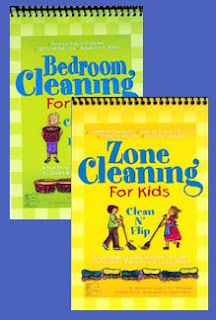 The bedroom and zone cleaning flip charts are sturdy, laminated flip charts that come with a write-and-wipe pen, so you can see what task to complete first, check it off the list, and move to the next item on the list. The text and pictures are simple and straightforward. For a younger child, or for a child with special needs, you can do the tasks together. For an older child, you can hand them the flip chart and let them "go to town" with it! ;) My eldest says, "Those flip charts actually make sense. Makes it seem like you have little to do, even with a huge room!" 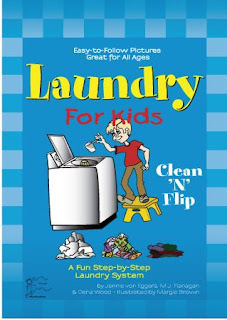 I am disappointed that the laundry flip chart is not laminated. I assumed it was after looking at the other two charts, and I left them with my daughter to look at while I began dinner. She colored in the laundry flip chart -- which, I learned too late, is not laminated like the other two. It IS sturdy, though, and matter of fact, with simple, straightforward pictures and text. At $7.95, the price reflects the fact that it is not laminated. 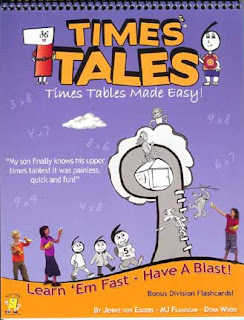 Times Tales, priced at $29.99, is another one of those products I learned about by hanging around other homeschooling moms and eavesdropping on conversations. :) This product was recommended from one mom to another with great enthusiasm. 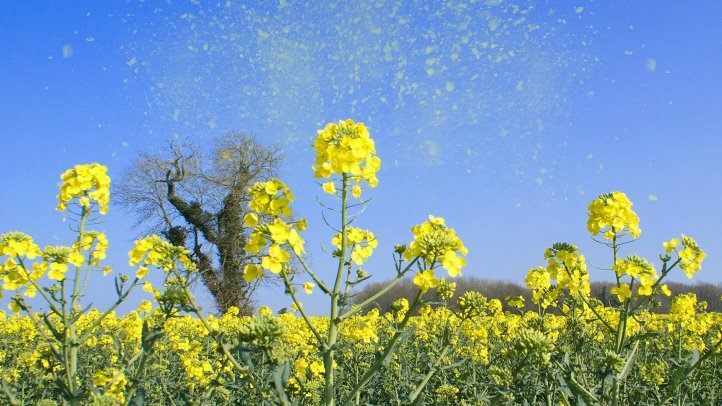 Times Tales are cute, clever stories, that are very short, but memorable, that contain within them, those pesky times tables that, for some of us, are difficult to memorize. There is a story example on this page. Unfortunately, we have not been able to try Times Tales the way it is meant to be used, because my children already know their times tables. My children enjoyed reading the stories and making the connections between each story and the multiplication fact it represents! As always, TOS Homeschool Crew Member Reviews are available here.